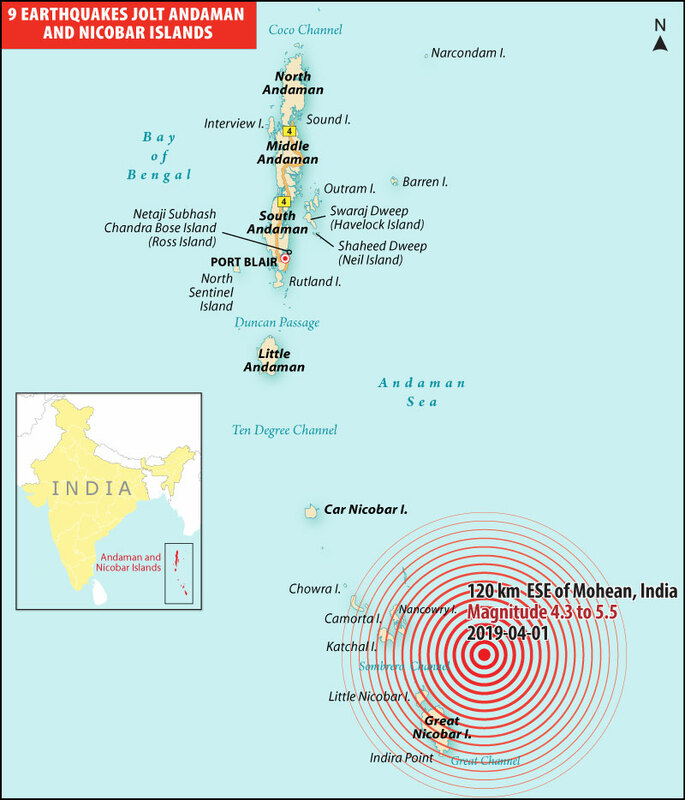 Nine medium intensity earthquakes struck Andaman and Nicobar islands within the duration of two hours. As per the National Centre For Seismology the magnitude of earthquake ranges from 4.7 to 5.2. It has been confirmed by the sources that the first jolt occurred at 5:14 am with a magnitude of 4.9. It was followed by another jolt of an earthquake with the magnitude of 5 which took place within a couple of minutes. The reports confirm that the last earthquake occurred with a magnitude of 5.2 at 6:54 am.